Surrender your weight forever! If you are a food addict, a compulsive eater, or someone who for any reason sees food as the enemy, Meditations for Weight Loss will set you free. 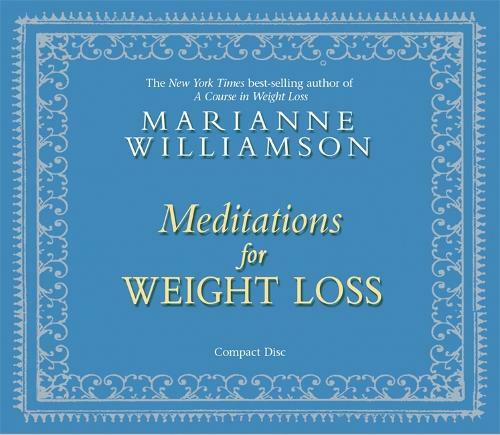 With this CD, Marianne Williamson provides a new beginning - one that will alter your patterns of self-sabotage and allow you to release feelings of failure, self-hatred, and regret. These meditations and reflections on conscious weight loss will put you in touch with the deepest, strongest parts of yourself; and when you focus your attention on the spirit within you, you shift your relationship with yourself - and your body - from one of fear to one of love. The more you practice these empowering meditations, the more you will become attuned to the wisdom of your spirit ...and your body will regain its natural intelligence as well, leading to a new perspective on food and weight ...and a joyful sense of serenity.